MariMatic Oy® specializes in Automated Solid Waste Collection Systems (AWCS) and vacuum conveying systems. The company manufactures two types of waste collection systems: the Taifun®, launched in the 1980s for use in industrial applications and bio waste, and the MetroTaifun® specifically designed for subterranean conveyance of solid municipal waste, both commercial waste and household waste. MariMatic Oy® has delivered around 1,000 systems in over 40 countries. The company has its headquarters in Vantaa, Finland. The own production facilities are in Finland (2 factories) and in Estonia. In its 7500 sq.m. R&D and demo facility in Järvenpää, Finland, MariMatic has the world’s largest R&D and demonstration Automatic Solid Waste Collection System (AWCS) completely installed indoors. 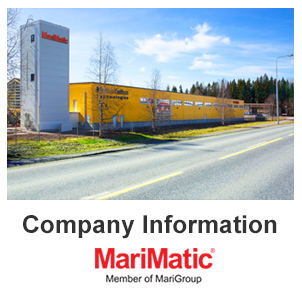 MariMatic Oy® is a member of the MariGroup. MetroTaifun®, the world's most modern Automatic Waste Collection System (AWCS), conveys waste & recyclables through underground and/or above-ground pipelines that can extend up to 4 km (2.5 miles) from the waste collection point. MetroTaifun® has developed modern solutions for all applications; large and small, including hospitals, residential areas, industrial areas and shopping centers, sports complexes, hybrid and mobile systems. 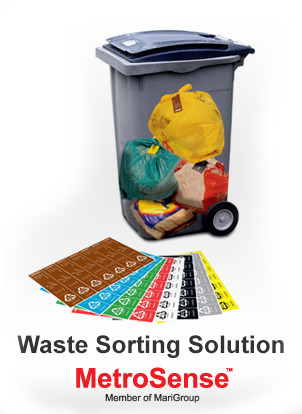 MetroSense is an intelligent waste sorting and recycling solution. The RFID-based MetroSense solution improves the waste management. The benefits of the solution include the simpler waste sorting at household level, the enhanced sorting and recycling at the waste treatment plants, the reduced quantity of mixed waste, the improved rate of 'waste-to-energy', the collection of plastic bags instead of sending them to landfill sites. One waste truck is collecting all the fractions thus reducing drastically the heavy vehicle traffic and reduces toxic emissions these produce. Taifun® vacuum conveying systems are designed for industrial use, responding to the requirements of the food processing industry for handling and conveying different types of materials, ranging from waste, by-products and raw material to final edible products. MariMatic's Taifun vacuum waste transport systems for handling waste and by-products are both highly efficient and hygienic, and offer excellent safety and ergonomics as well. 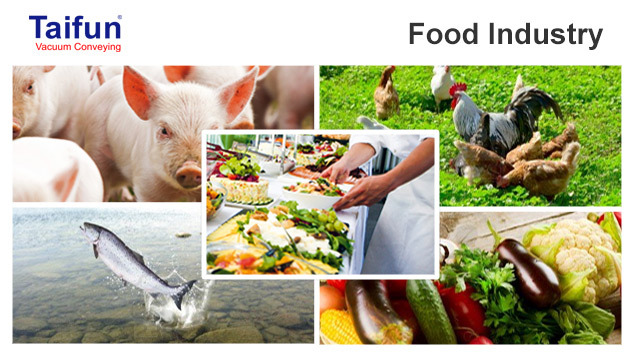 Thousands of Taifun systems have been supplied to poultry, meat, fish, vegetable processing plants, professional kitchens and marine galleys worldwide.